First Western Securities, Inc. home office is located at 669 Airport Freeway, Suite 409, Hurst, TX 76053. All of our home office Investment Executives have over 20 years experience. Additionally, we have Investment Executives serving other areas of Texas, Oklahoma and California. Kevin Donohue is originally from Phoenix, AZ. He graduated with a B.S. in Business from the University of Colorado and moved to Texas in the early 1960’s. He has been in the brokerage and financial advisory business for over 40 years. Joining First Western Securities in 2007, Kevin enjoys the financial business, his clients and the positive relationships he builds with them. Kevin and his wife, JoNell, have been married for over 50 years. They have three children and four grandchildren. A native of Fort Worth Dan Klein is a graduate of Texas Christian University. Majoring in Economics, he earned a Bachelor’s degree in 1987. Dan began his career in the financial services industry with a regional brokerage firm in 1992. In 1995 Dan began his career with First Western Securities. Working mostly with individuals, planning for retirement, Dan believes in providing his clients with a well diversified investment plan based on each client’s risk tolerance. Dan feels this approach gives his clients the best chance for success. In his free time Dan is an avid golfer. When not on the golf course you can find Dan at TCU sporting events or spending time with his Blue Heeler Sunny. Craig Kilpatrick is a graduate of TCU with a BBA in Accounting. He joined Arthur Young after graduating where he earned his CPA certificate. After public accounting he began his investment career with a local Trust Department before entering the brokerage business in 1984. In 1988 he joined First Western Securities, Inc.. Craig focuses on financial and retirement planning and believes in comprehensive solutions for his client's financial needs. He has been married to his wife, Julie, for over 30 years and they have two children. Adviser since 1977. He started his career with Merrill Lynch, Pierce Fenner and Smith. In 1983 he became Vice President of Smith Barney Harris Upham. Randy founded First Western Securities, Inc. in March of 1987. His area of expertise is building solid stock and bond portfolios. 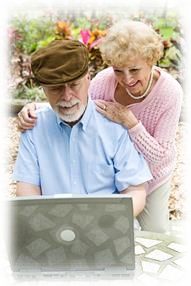 Randy offers financial planning services via the Envision® software platform. Moreover, he is well versed in variable annuities and variable universal life insurance. Randy enjoys helping his clients achieve their financial goals. He and his wife Kimberly have two sons, John, who attends the University of Alabama and James, who is a senior in high school. Brad Lessem is a native of Cleveland, Ohio. After graduating with a B.A. in Communications and Political Science from Cleveland State University, Brad moved to Texas. He spent the first ten years in Texas selling luxury automobiles. He quickly rose to become one of the top salesmen in the country for the U.S. automaker. After his children were born, he decided to change careers and obtained his Series 7 license. Brad worked for a large financial firm before finding his home at First Western Securities in 1998. He enjoys developing close working relationships with his clients and advising each one as to their own unique financial needs. Brad and his wife have been married over 30 years. They are parents of two children, one of which proudly serves in the United States military.